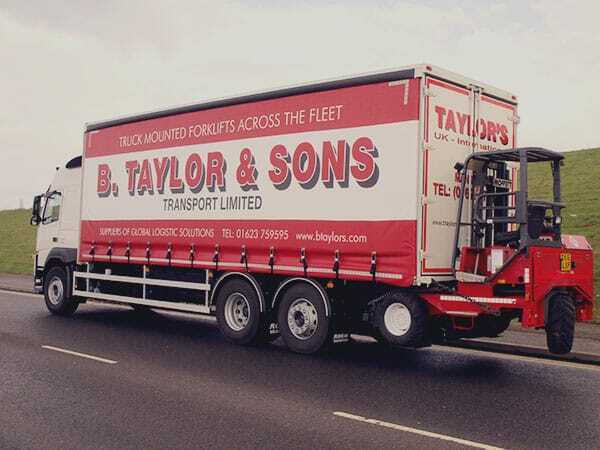 B. Taylors extensive road haulage fleet and network connections allow our customers to regular send consignments via next day delivery. When you contact Taylors you can be secure in the knowledge that we take the safe delivery of your goods as serious as you do. With vehicle tracking, computerised warehouse systems and dedicated staff, we make sure your promises are kept and your goods are secure. With a fleet of vehicles with trucked mounted forklifts, we can quickly and easily deliver your goods - next day - throughout the UK. High value goods can be delivered directly and we only ever use secure parking for any overnight consignments. With services operating seven days a week, we always endeavour to deliver the highest quality services to all our customers. We are proud to be one of the most flexible, versatile and reliable road transport operators in the industry. You will always find us on the end of the telephone or email, ready and waiting to help you. Our support staff have extensive knowledge of our capabilities and often can find creative ways to make your requirements a reality. Happy to help if you need a timed delivery or have any specialist offloading requirements. With extensive experience in transportation of goods, we understand your individual business needs and where the timing of deliveries is crucial to your operations. Please contact us by phone or email to find out how we can help you or to obtain a quote for next day delivery or express freight requirements.